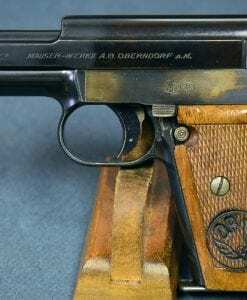 JAPANESE WW2 ARMY OFFICER’S 1903 COLT PISTOL……WITH RARE JAPANESE HOLSTER……FULL RIG! 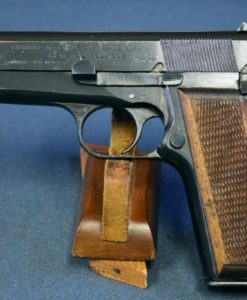 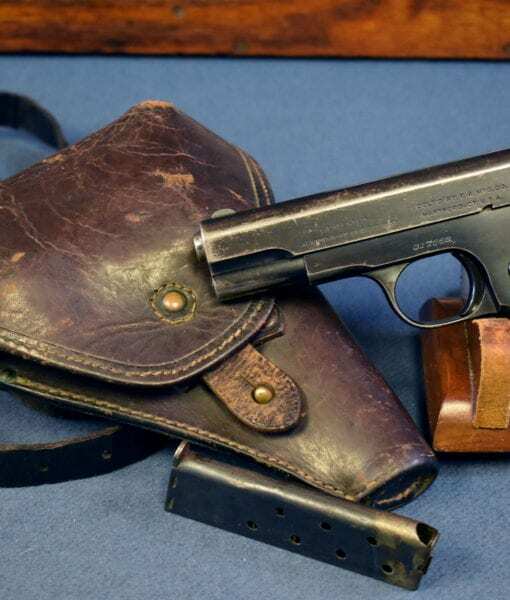 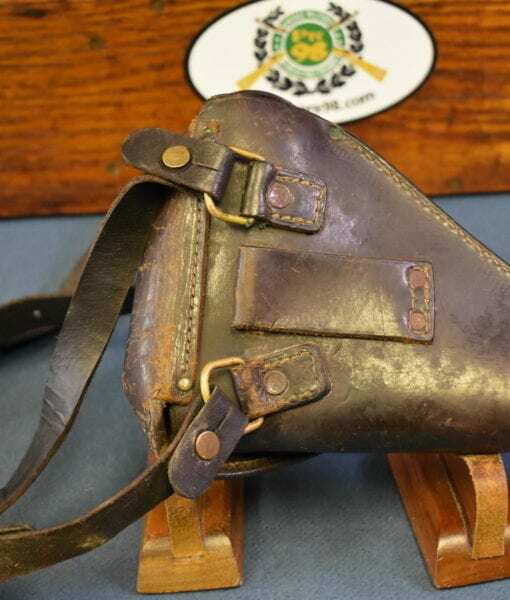 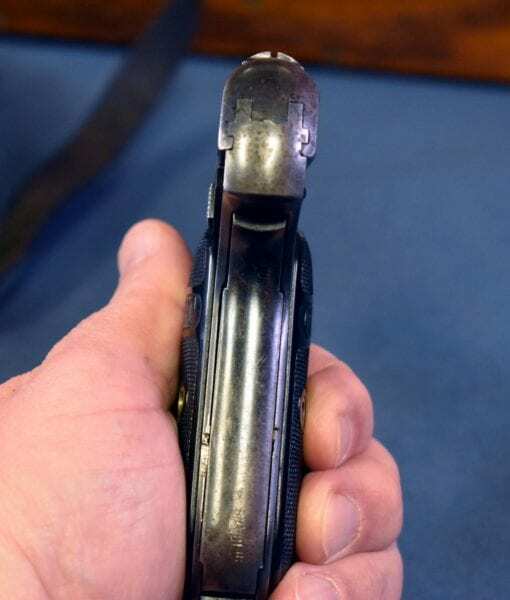 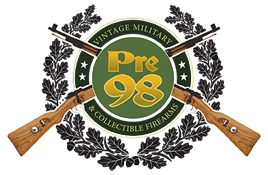 In 95% condition, we have a very desirable Japanese Army Officers Colt 1903 Pocket Hammerless Pistol with a very rare Japanese Army holster and spare mag. 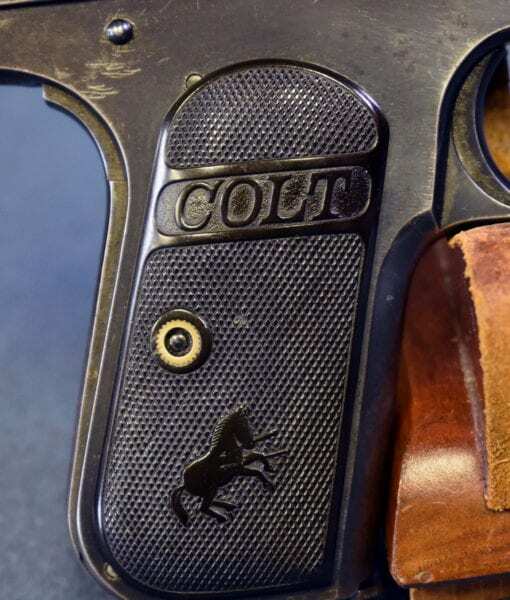 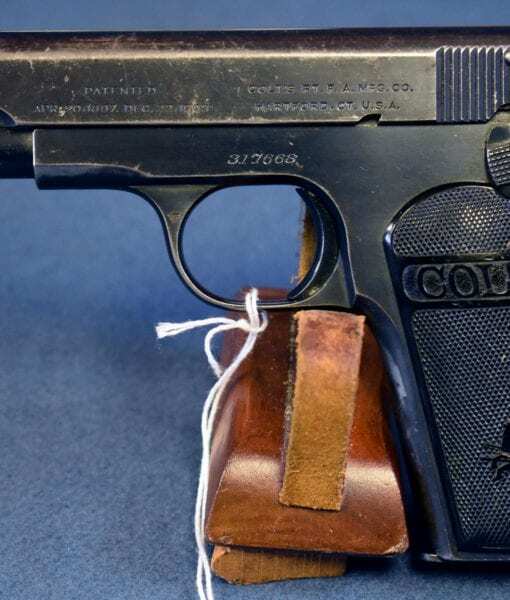 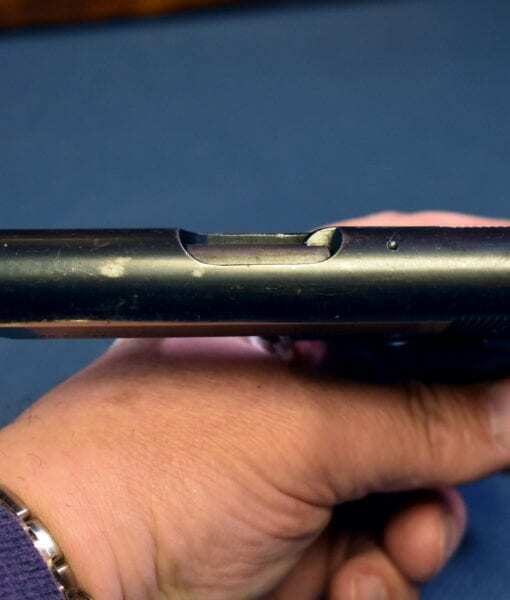 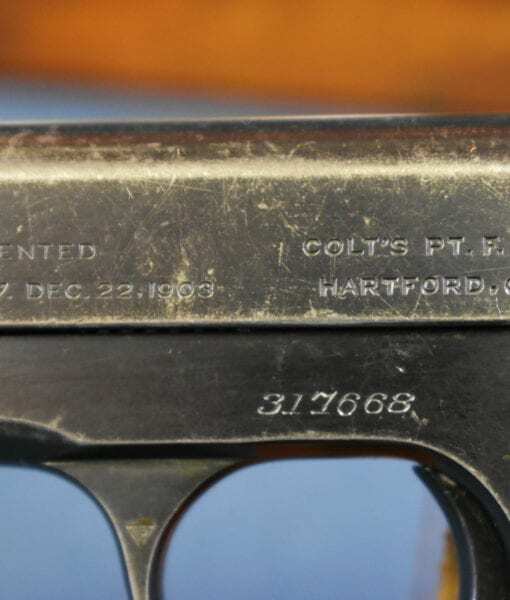 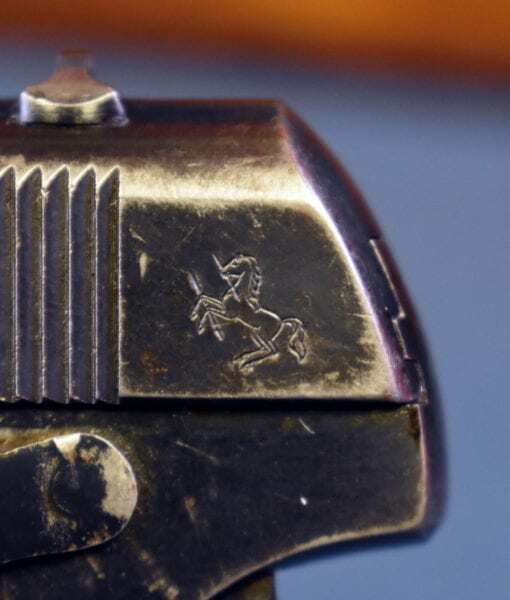 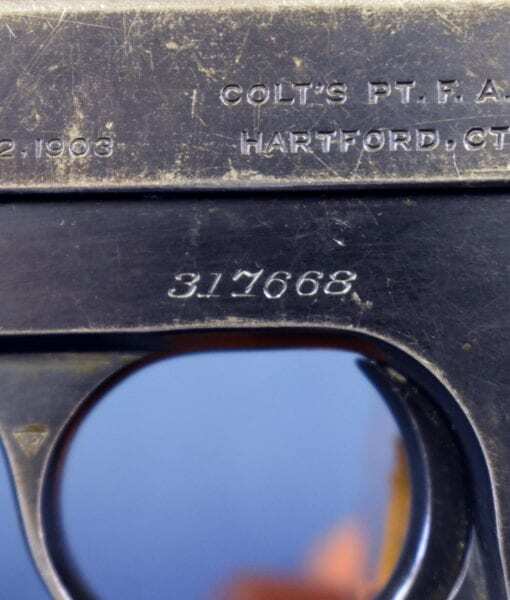 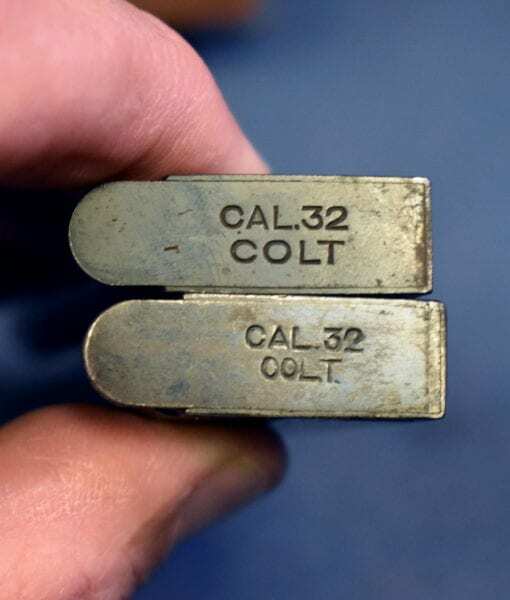 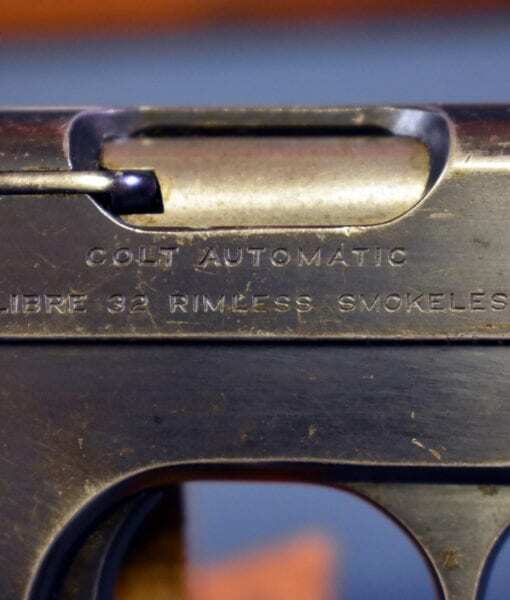 This was a vet brought back pistol that was manufactured by Colt in 1919. 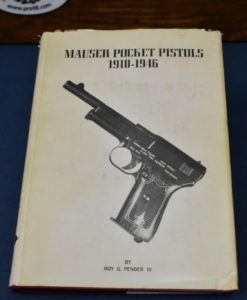 While some of these pistols were directly purchased by Japanese companies, many more were obtained as a result of their take over of most of the Western Pacific rim. 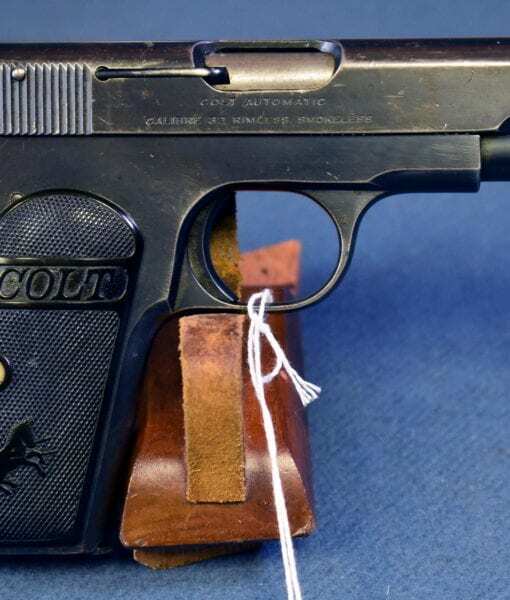 You can imagine how many must have been confiscated in the Philippines for instance. 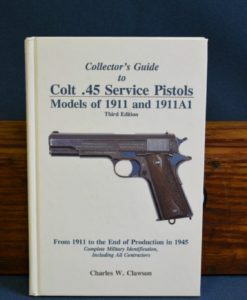 Many folks are not aware that most Japanese Officers carried pocket pistols, most commonly Fn 1910 pistols and 1903 Colts. 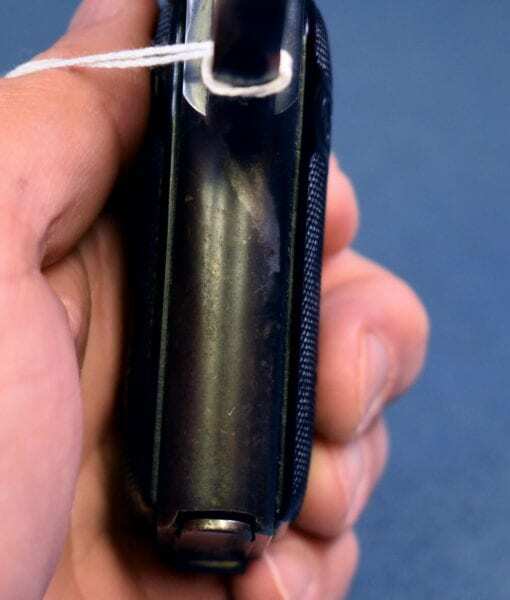 Finding one still fully rigged out like this is a significant find. 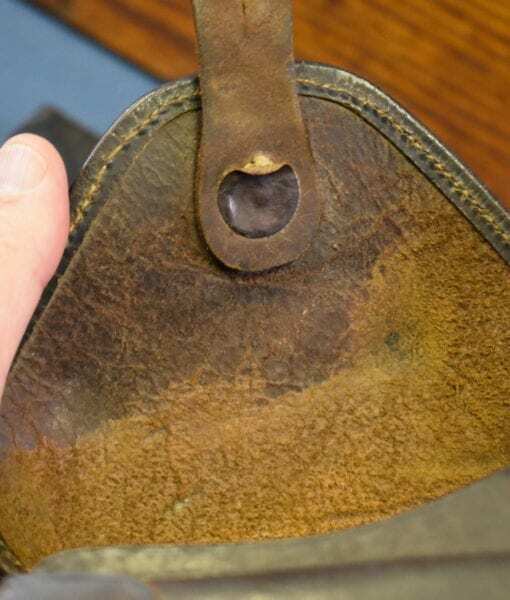 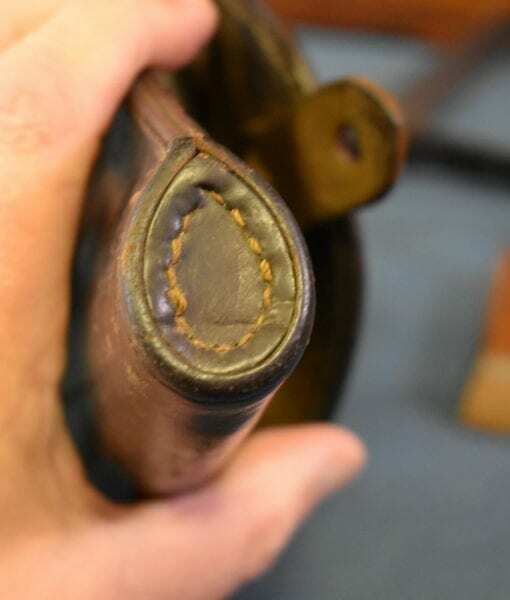 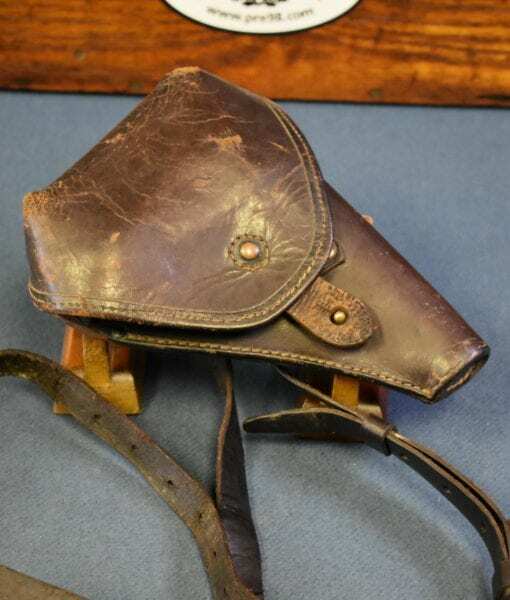 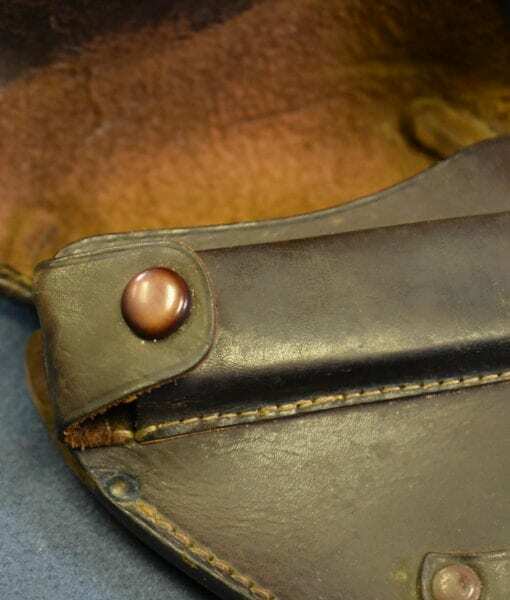 The holster is in exceptionally nice condition and the interior of the mag pouch is stamped that this is for a Colt in an Asian style of English. 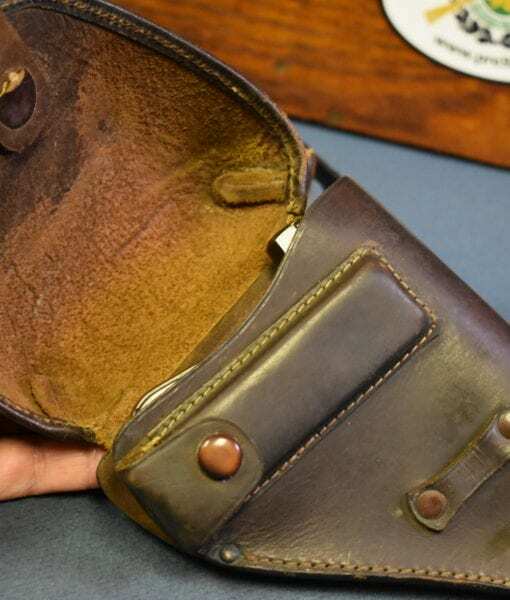 This is a must have for the serious Japanese martial pistol collector and a prime example of an Army Officers side arm.